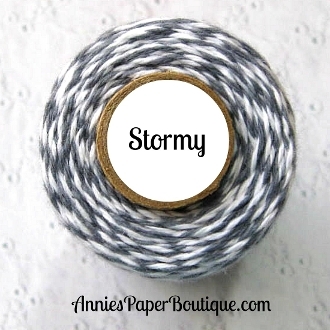 HTB Creations: Trendy Twine -- Happy Father's Day! Hello everyone! The Trendy Twine Design Team has a special post today for all dads. I made a quick card for one of the dads in my life. I used Stormy Trendy Twine for the collar on the 'shirt' and as an accent on the bottom. This was super easy to put together! I hope you head over to Twine It Up! with Trendy Twine to see all the fabulous projects over there and Happy Father's Day to all the dads! I love the way you used the twine on this card! I love the super cute tie!! Fun use of the twine! Super fun card! Love the shirt design you created and that is one fab tie!